It is a form of protein that is produced by bacteria. It inhibits or kills the growth of other kinds of bacteria. It is actually a proteinaceous toxin that is created as a tiny molecule by bacteria. It reduces the growth of bacterial strains that are similar or closely associated. The toxin is regarded to be an antibiotic of narrow spectrum and it is produced by a wide array of bacteria. This toxin was first discovered in 1925 by Mr. A. Gratia and his assistants. Gratia was looking for methods to destroy bacteria. The search led him to the discovery of Bacteriocin as well as the finding of bacteriophage and the developing of antibiotics. Colicins are bacteriocins obtained from E. Coli bacteria and have been under medical study for a long period of time. When A. Gratia discovered bacteriocins for the first time, he named them as Colicine as it helped him kill the E. Coli bacteria. 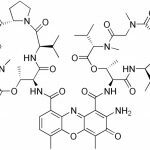 These are tiny peptide inhibitors and involve Nisin as well as other lantibiotics. These are miniscule proteins that are resistant to heat. The Class II comprises of the largest subgroup of Bacteriocins. These can be used in medical applications as well as food preservation due to their solid antilisterial activity. These are huge protein bacteriocins that react sharply to heat. The structure of this toxin usually resembles the shape of a protein or peptide. It consists of amino acid chains of different size. Production of this toxin is motivated by Mitomycin C, Heat Shock and UV Radiation. The production is demonstrated by thrusting vaccinated multiple strains on more than one isolated nutrient agar Petri dishes that are covered for one whole day at 30 degree Centigrade. Then each plate is covered with one of the available strains. The dishes are again covered for another day at 30 degree Centigrade. These proteins are composed of non-pathogenic bacteria which usually settle inside the human body. This is the reason why these proteins are of great use in medicine. When antibiotics lead to the removal of these harmless bacteria as a side effect, pathogenic bacteria can attack the body and give rise to ailments. These proteins are also considered to be a possible treatment for cancer. It has shown promise as an agent for diagnosis of cancer. However, whether this protein can be used for treatment is dependent on experiments. The doubt about therapeutic capabilities of this protein remains due to lack of clarity about the Bacteriocin mechanism of action and the supposition that they are incapable of destroying tumor cells in mammals. In terms of bacteriocin, I only know that they are proteinaceous toxins produced by bacteria to inhibit the growth of similar or closely related bacterial strain). They are typically considered to be narrow spectrum antibiotics, though this has been debated. This post shows so many detailed information about bacteriocin. Thanks for your work Anirudh!